Dropout Has Thanks, Not Blame, For Teacher Roger Alvarez dropped out of high school despite the efforts of his English teacher. "You were determined to help me, but what was I willing to give? I could have actually tried," Alvarez says. 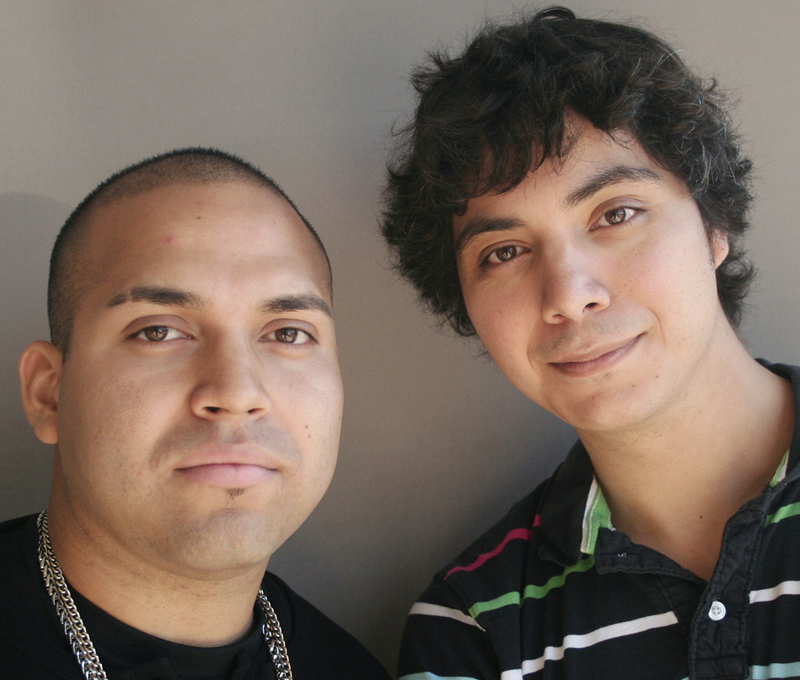 Roger Alvarez (left) did not graduate from high school, despite the efforts of his former English teacher, Antero Garcia. At 22, Alvarez still hopes to get his GED. Editor's note on July 25, 2014: This story originally aired in 2012. Statistics on the graduation rate at Manual Arts High School have been updated, and the figure for 2007 has been corrected. In 2007, the graduation rate at Manual Arts High School in Los Angeles was just 42 percent. Roger Alvarez, 22, was one of the students who didn't make it. Alvarez dropped out that year, but Alvarez says he already knew by the time he was in ninth grade that he wasn't going to graduate. "There's a certain amount of knowledge you have to have when you enter in a specific grade, and I didn't have it," Alvarez says. "Every class I used to go in, I was like, 'Do I know this? I don't know this. Nah, I'm not going to pass this class.' "
It was a shameful attitude, he tells his former English teacher, Antero Garcia, 29. "You were determined to help me, but what was I willing to give? I could have actually tried," Alvarez says. For his part, Garcia wants to know how he could have reached out to Alvarez better, but Alvarez says Garcia had always been helpful. "I mean, you could pump me up, and then I see other students doing way better," Alvarez says. "So then, I get nervous. I get stuck, and then my motivation goes to the floor." He felt the situation was hopeless. "You talked to me like if I could do it, but inside me, I knew I couldn't," he tells Garcia. "I just didn't want you to think that I'm ... stupid." Now, school is a life tool that Alvarez says he's missing — but his teacher isn't to blame. "Always, I just wanted you to know ... you were a good teacher, and I always respected you," he tells Garcia. "Some teachers, I kind of felt like they only wanted to teach a certain group of people. But you looked at me and you paid attention." "Maybe it didn't get me to graduate, but there's a lot of teachers, they don't take the time to take a look. And it was never your fault." Alvarez now works the night shift at a loading dock. He still hopes to get his GED one day. Audio produced for Weekend Edition Sunday by Brian Reed.